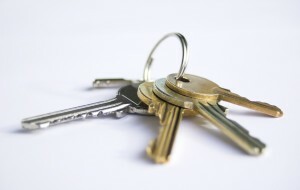 You are here: Home › Services › Residential › Get key copies that work at McGuire Lock! Have you been to every hardware store in town and realized that it’s nearly impossible to get decent key copies? Do you have a ‘Lucky Hardware Store’ that seems to get it right a little more often than the rest? If so, you’re not alone. People pile into our shop every day, all day to get copies of their keys. I can always tell a first time customer because they say they have been everywhere and seem really skeptical on the keys working when they get home. Customers that have been to our shop before have the comfort of knowing that our keys work right… THE FIRST TIME! How long did the whole process take to get your key copies? Did the key fit in to the lock? Did it work? And if so how well? Now watch this video. This is a VERY short video showing the entire key cutting process start to finish. The next time you need a house key copied, where are you going to go? See you soon.